I had this post written three weeks ago and I was all prepared to write about my novel "The Secret" and give you a little teaser, but I can't do it. There's something more important that I want to talk about for the letter S.
I'm not talking about sponsoring a team so that they can play a game in a big city tournament. I'm talking about sponsoring a child in another country that is hungry, thirsty, wearing rags, doesn't go to school, and has no access to medical care. Orphans and children living in poverty. 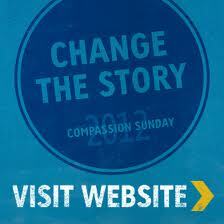 Sunday, April 22, 2012 is Compassion Sunday, which is put on by Compassion International. They have sponsored over a million children! You have the power to change the story of a child living in poverty. I know that a lot of us here are writers and we love stories. I love that I can change the story of a little girl so she has a better life. Compassion International gives food and clean water, medical care, educational opportunities, important life skills training, and a chance to hear about God's love. The most important thing for me... Noemi. I love getting her letters and hearing how much I have helped her. She tells me that she loves me and I've never met her, but I love her too. Her story breaks my heart, but I am doing my best to give her a chance at a good life and I promise you that she deserves it. Literally, I am crying as I write this because she has changed my life so much and I'm so passionate about helping these children. It's $38 a month. A little over a dollar a day and my gift is giving her life. It's tax-deductible if you are worried about that. I work as a coffee barista, barely making over minimum wage and I have the money to sponsor her. You can do it. 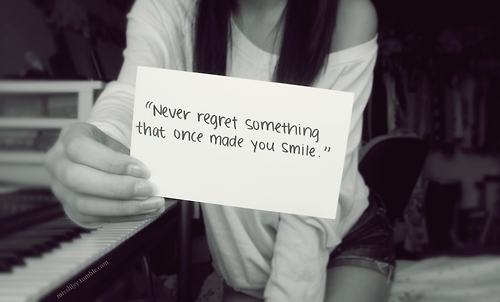 :) I'll never regret making this choice. That's a great deed you're doing, sure you will reap your rewards soon! I have always wondered how legitimate some organizations are, but I will check this one out. How wonderful to know that this little girl's life is changed because of one person who cared. I agree with you--child sponsorship is a simple way to make a huge difference! Great topic! thanks for the info...will chck it out! Compassion is a great program. We sponsor several children through World Vision - no matter which organization you choose, you will be blessed! Thank you for sharing this. It really has moved something in my heart and I feel that I need to do this, whether through Compassion, World Vision, some other organization, or even the program my church has for supporting child-headed households in a nearby rural-ish community.